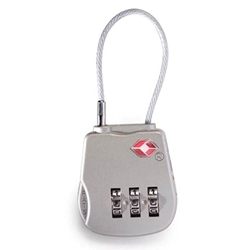 Pelican TSA Lock 1506TSA is a special TSA accepted lock that has a three digit combination that you can set, and a separate slot for TSA personnel to be able to safely lock and unlock it in order to check inside of your case. It fits all Pelican and Pelican Storm cases. Shipping Dimensions13" x 11" x 2"